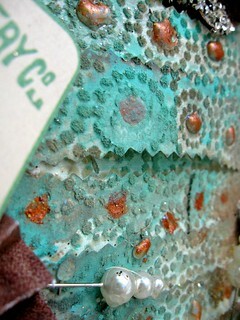 We are so excited to be able to share some jewelry created by the talented Tracy Alden with our new release!! These shapes will retail for $2.29 and can be used to create jewelry like this, which looks like a $50+ earring & necklace set! 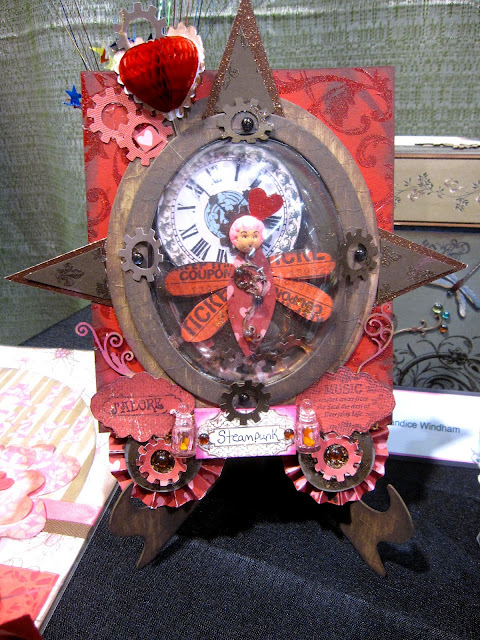 The Piccolo set used to create this jewelry ensemble will be available in 2 weeks and includes three chipboard flourishes and three chipboard bezels (as shown). This earring pair & necklace feature our Copper Kettle Enamel Powder, coated liberally with Glastique to give it both added strength and a beautiful glass-like finish. 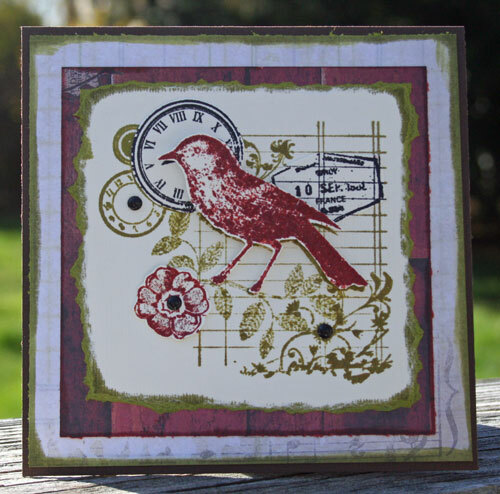 Be sure to follow our blog and follow us on Facebook and Twitter to get news on our latest releases! 1. 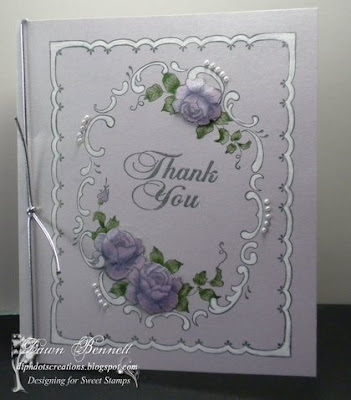 Place scrapbook paper of choice onto flat surface, this will be your base. 3. Next choose a scrapbook paper with details for the mermaid fin, then cut out 1 inch strips using decorative scissors, start layering inside the drawn fin, glue in place with hot glue, set aside. 4. 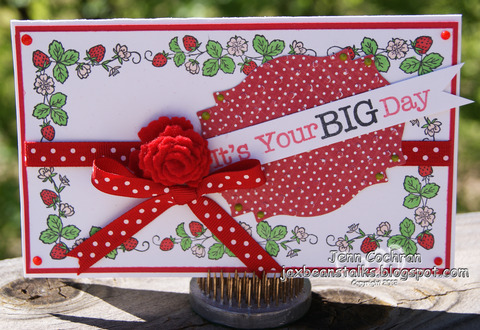 With another piece of scrapbook paper, trace the width of the medium sized globe onto it. 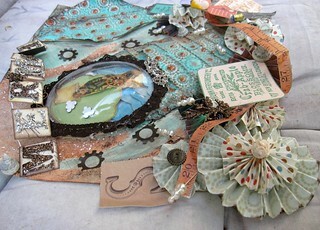 Now start building a seaside scene inside of it with more paper, vintage images and embellishments. 5. Center the assembled globe layout at the tip of the mermaid’s waist, glue in place with hot glue, attach globe with tacky glue. 6. 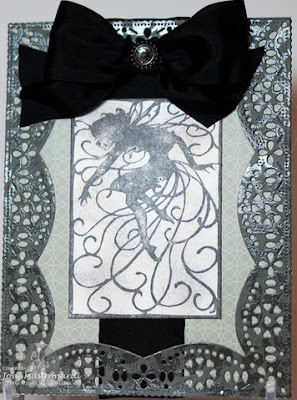 Now draw in the rest of the mermaid and paint with beige paint, distress with mixed media ink pads, then distress the rest of the outer layout with more of the mixed media paint pads. 7. Build the character of the fin with a mixture of mixed media paint pads, ink pads, modge podge, pearls, shimmers and embossing glitters. 8. 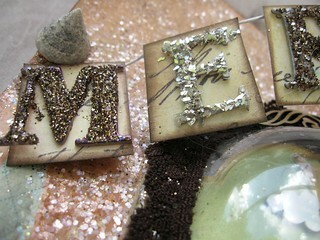 Apply a coat of modge podge over the mermaid’s body, coat with clear glass glitter. 9. 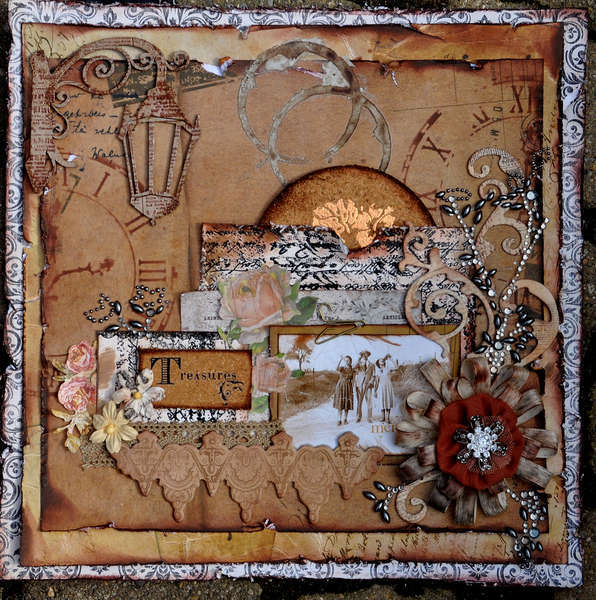 Start embellishing your layout with a floral wire banner, paper rosettes, shells, more vintage images, cut out piccolo pieces, and glitter. 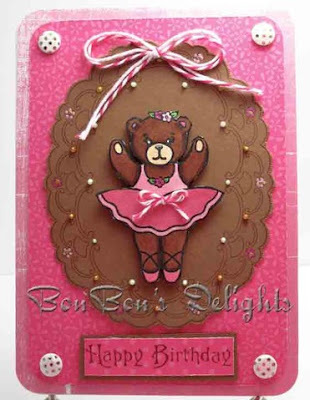 -When using hot glue, be extra careful -If you dislike hot glue work with a sturdy glue that works for you. -Create a smaller mermaid or two using the small bubble globes from Globecraft Memories. 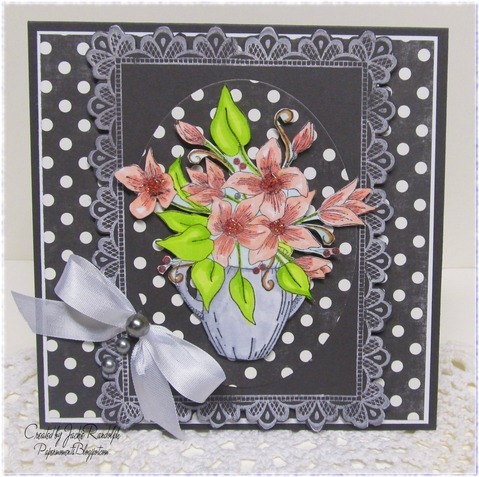 -In a small plastic disposable bowl, make a mud mix using modge podge, brown paint, glitter and embossing ink, paint onto certain areas of the fin, when dry extra embellish with pearl powders, shimmerz and patina paints. 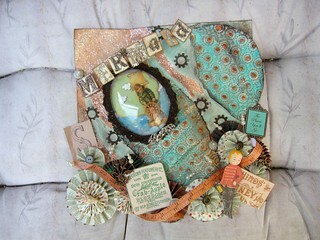 -Make a Mermaid Wall hanging instead of a layout. 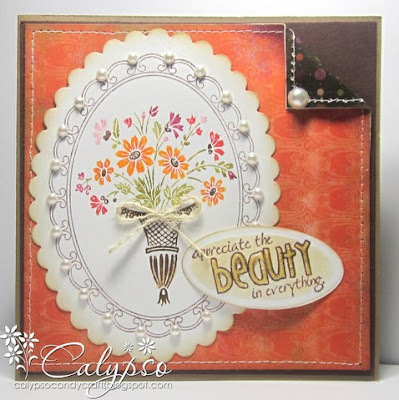 We're so excited to welcome papercrafter and instructor Daniela Costa to the Globecraft Memories Design Team!!!! 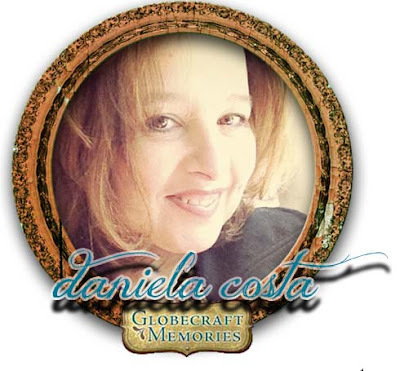 My name is Daniela Costa and I am so excited to be a part of this fantastic Design Team for GlobeCraft Memories! I have been crafting for about 7 years, and love to teach, inspire and create! 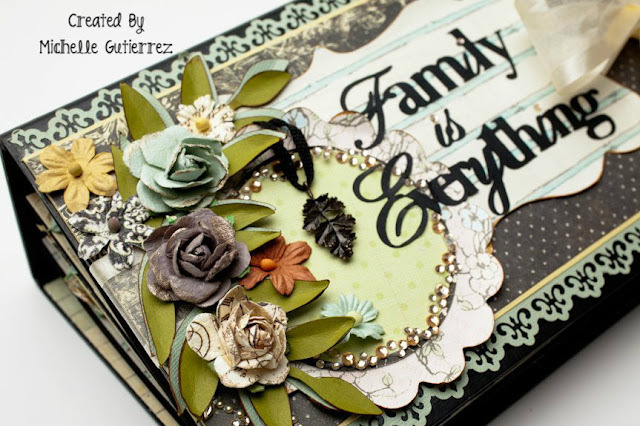 I love to play with anything crafty and do a lot of mini albums, and altered art projects, but love to make layouts of my wonderful family and children. I am married and have two children, Bianca who is 18, and Tony who is 6. I have two dogs, Roxie and Tula. I live in the Bay Area, California and teach all over the Bay Area and beyond. You can find out more about me on my blog, The Art Life Shop, www.theartlifeshop.blogspot.com. The two projects I am sharing mean so much to me. 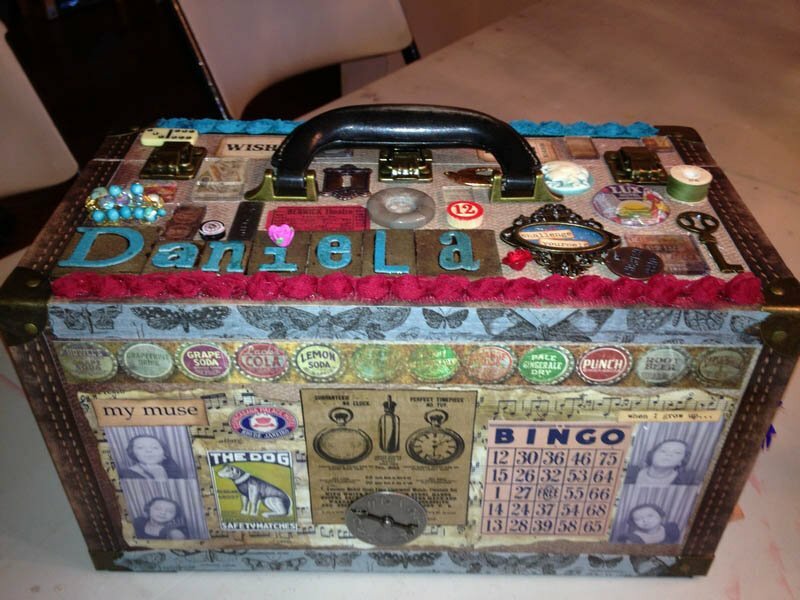 The first is of an Altered Tim Holtz Cargo Case. This is a project that is near and dear to my heart, as Tim featured it on his blog and I have taught this class to lots of inspirational ladies and it meant so much to me. 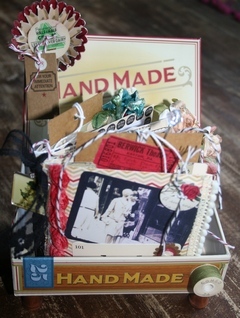 The second is a Jenni Bowlin Altered cigar box and Mini Album. 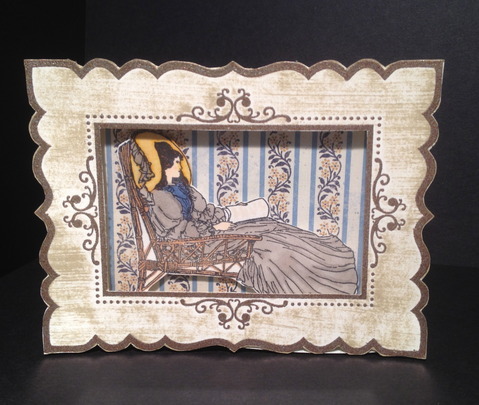 This really has been a favorite project of mine. I love vintage inspired things, and using vintage pictures of my mother and grandmother, so this one is near and dear to my heart as it features my grandmother. 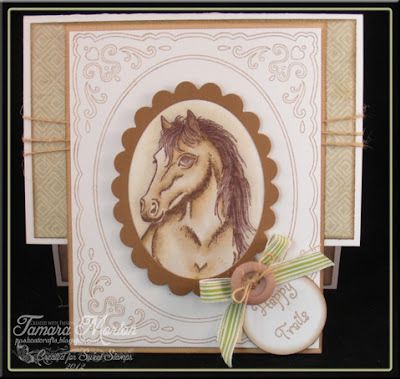 My philosophy in crafting is to not be afraid to try new things, and PLAY! I think it essential to explore your crafty side and just have fun! I love to document my families life and use pictures of my past, and tell a story. 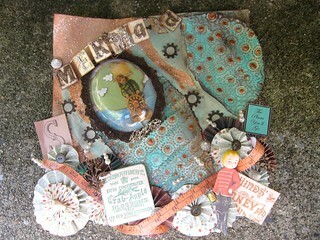 I scrapbook and make all my projects to inspire others and leave behind memories of our lives for my family. It also gives me time to be with friends and others that inspire me! 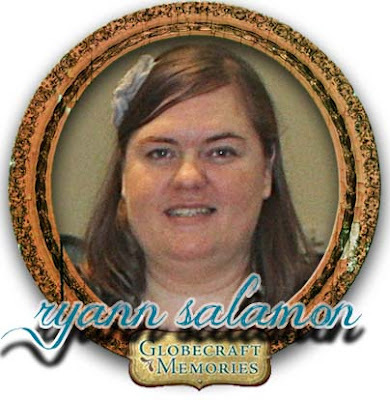 I can't wait to get started with GlobeCraft Memories and to get to know all of you! We're so excited to welcome papercrafter and instructor Michelle Gutierrez to the Globecraft Memories Design Team!!!! 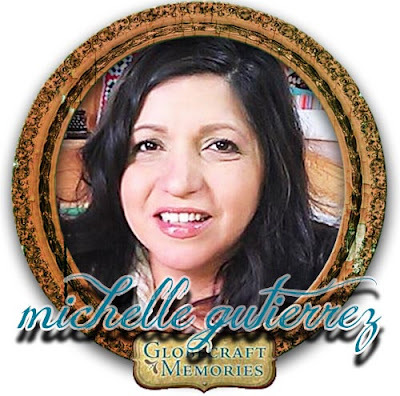 Hi my name is Michelle Gutierrez, and I am from Southern California. 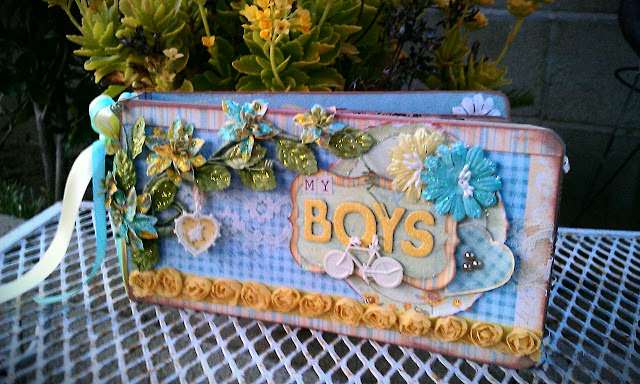 I am a happily married Mom to 4 boys, 5 including hubby. 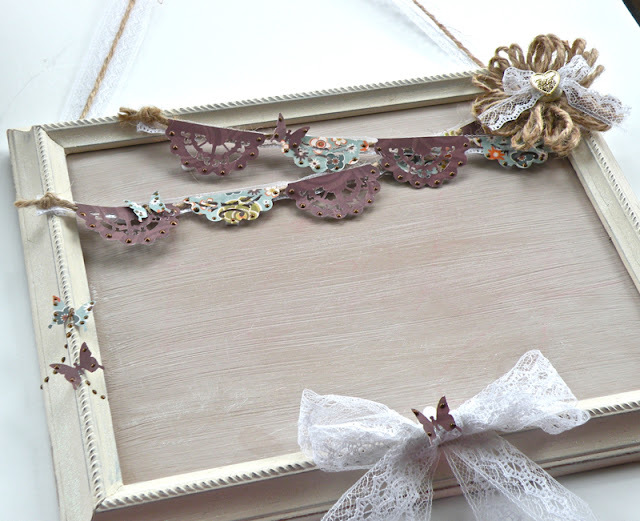 I have always loved to craft. My past hobbies have included crocheting, making quilts, jewelry making, reading, writing poems, currently - stamping and scrapbooking. 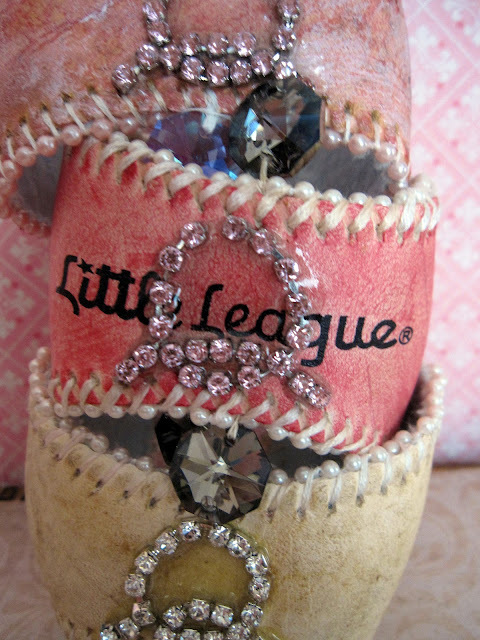 I have always been known in my family as the "crafty" one. 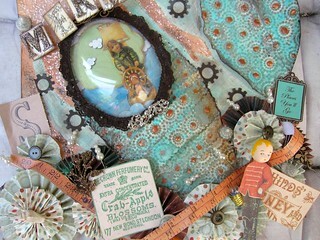 My crafting journey has taken me to many exciting places and I have meet the most fabulous of people. I wear my heart on my sleeve and always have the best intention to do my best, and I hope it shows in my creations. 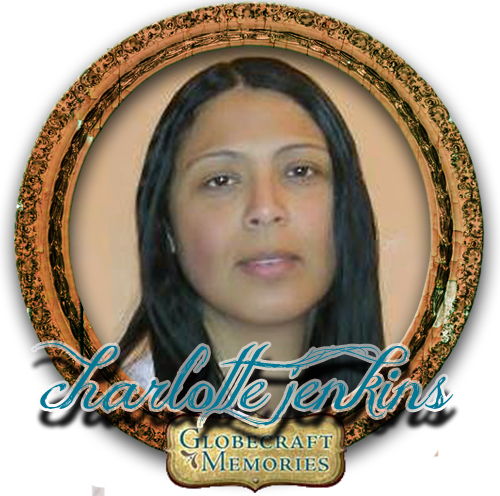 I am very excited to be part of the Globe Craft Memories Design Team, and I can not wait to show you my latest what I can do. 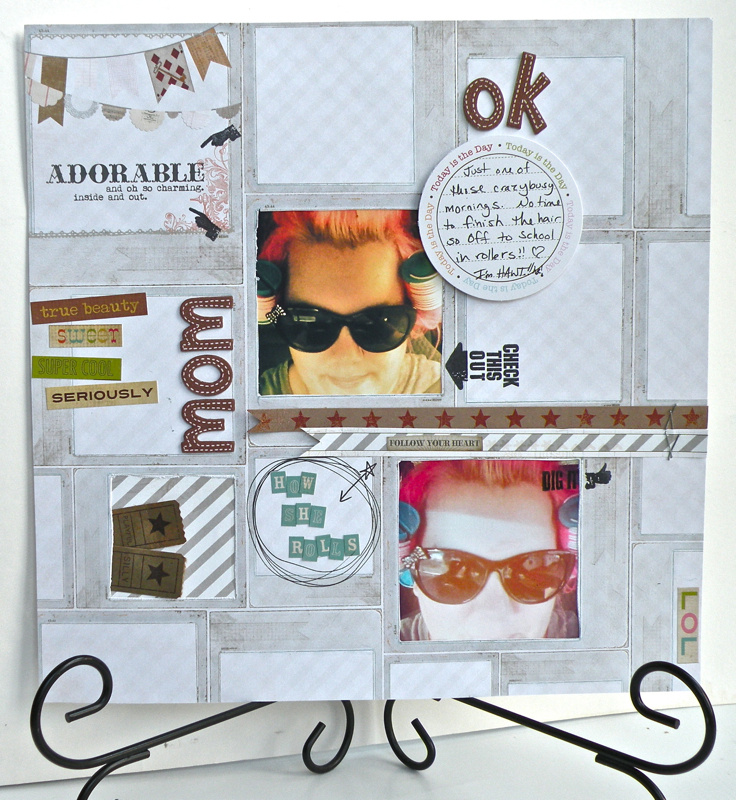 Next week's challenge is For Mom. 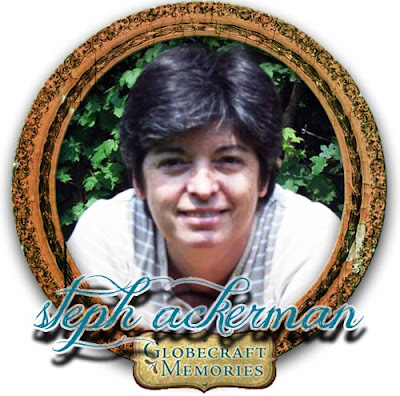 We're so excited to welcome papercrafter and stamper Steph Ackerman to the Globecraft Memories Design Team!!!! 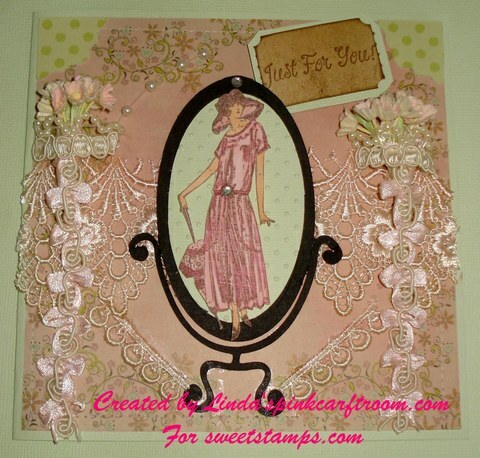 I am an avid scrapbooker, cardmaker and altered artist. 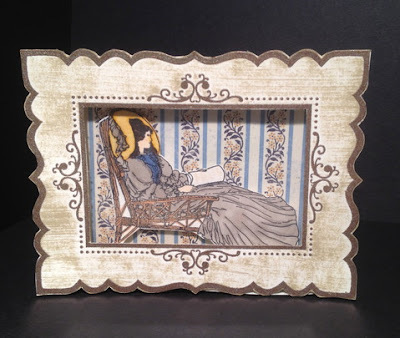 Working with paper is my passion and I have worked with all kinds of mediums since childood. Cardmaking, for me, is therapy. I love working on a smaller canvas and watching my work come to life with the use of stamps, inks and die cuts. I love challenges, and am always trying new techniques. 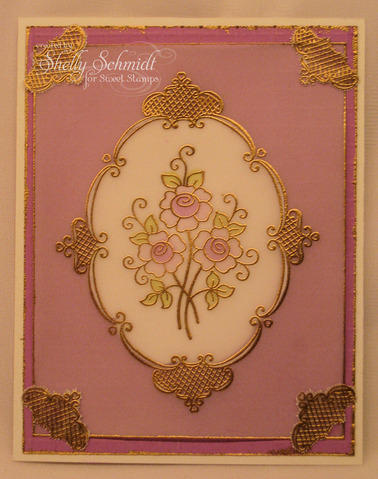 My day is just not complete if I haven't spent some time in my studio. 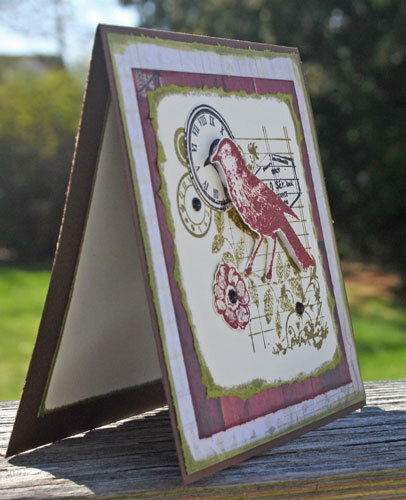 I do tend to get lost in my creations, working on lots of different projects at the same time. I discovered not too long ago that I love to teach and I can often be found in my studio showing students how to create amazing projects using a variety of products, whether it be the Cricut, stamps, inks, binding equipment, etc. I love seeing the look on a student's face when she realizes what can be done with the tools and supplies that are available. I live in New York with Gary, my husband of 32 years, our 17 year old son Christopher, and our puppy Paulie. Being the teenager that he is, it can be quite difficult getting candid shots of Christopher; however, since he participates in all kinds of sports, I get to take lots of action photos and scrap those. 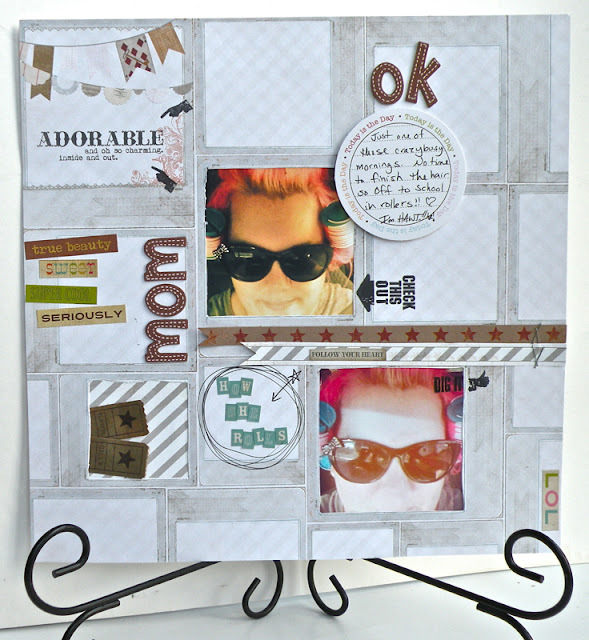 Paulie, on the other hand, is quite the character and allows me to take as many photos as I want without complaint; he can be seen in many scrapbook layouts! We're beyond elated to welcome artist Cristal "Pinky" Hobbs to the Globecraft Memories team! 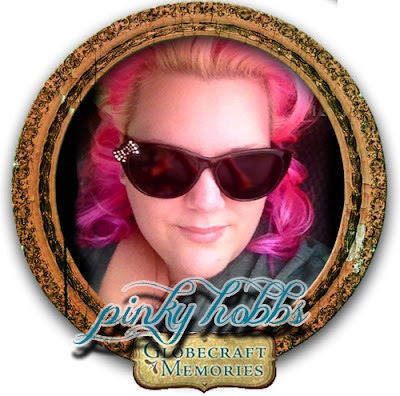 Hey it's just me Cristal otherwise known as PINKY! 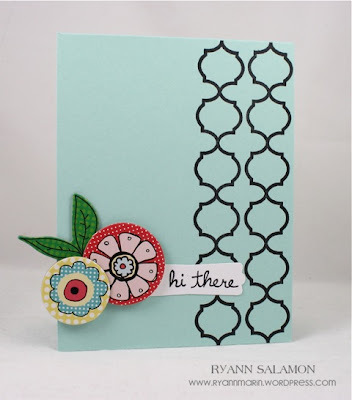 So excited to be sharing my craftiness with you all. I live in the country in TN with my sweet hubby, crazy wild boys, chickens, dog , cockatiels, and even a crab. It's a crazy life but I love it. I am an avid crafter from sewing to paper crafts, you name it I am willing to try it. 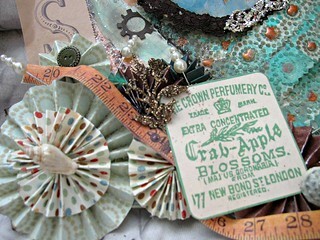 I LOVE crafting...I am not just saying that, I love it because it all comes from the same place. 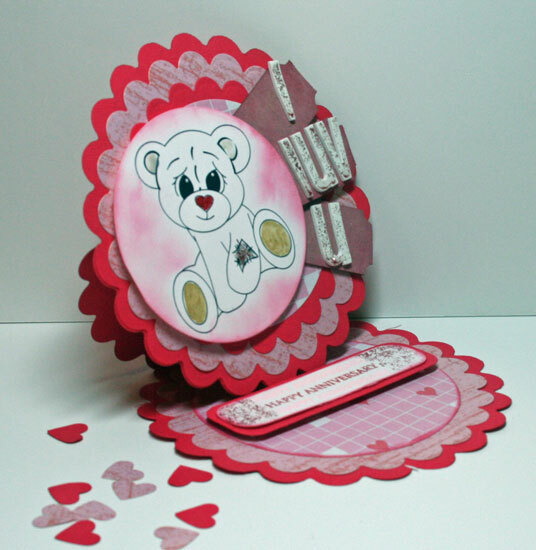 The heart....and NOTHING is more beautiful than something that is made with love. It is ART and it's all beautiful to me. I hope to inspire you to spread the love and create. 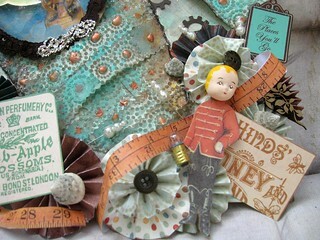 I attached these two projects because my philosophy when crafting is real life, a sense of humor, just scrap it all! From the funniest awkward moments and the sad times too, I put it all on paper for my children to remember our life through my eyes. 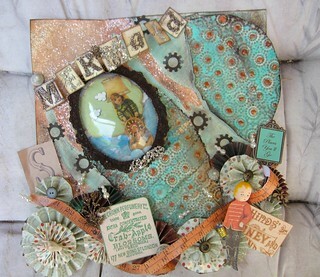 I love crafting it releases stress, gives hope, and shares love. 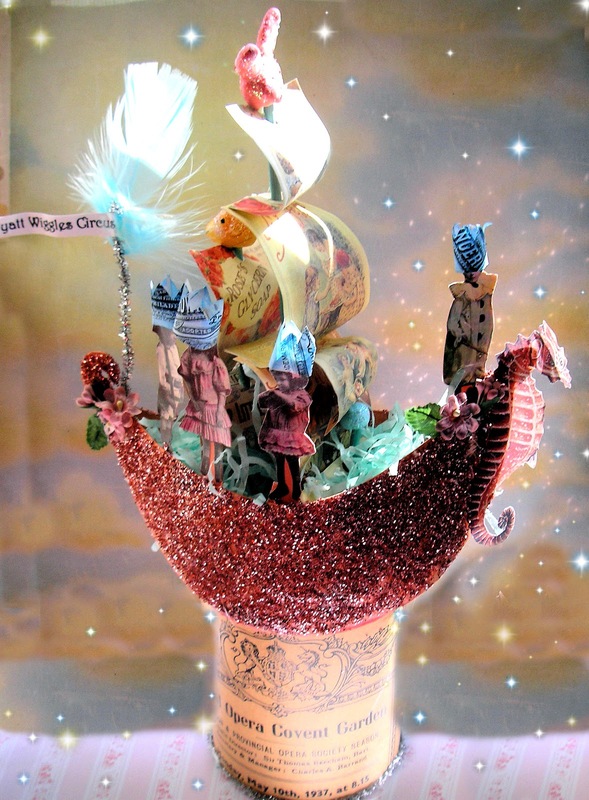 We can't wait to see all the inspiring projects that Cristal creates with us in the coming year!! 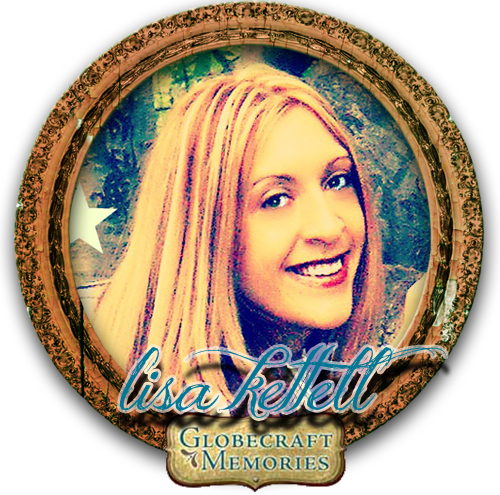 We're beyond elated to welcome jeweler and mixed media artist Lisa Kettell to the Globecraft Memories team! 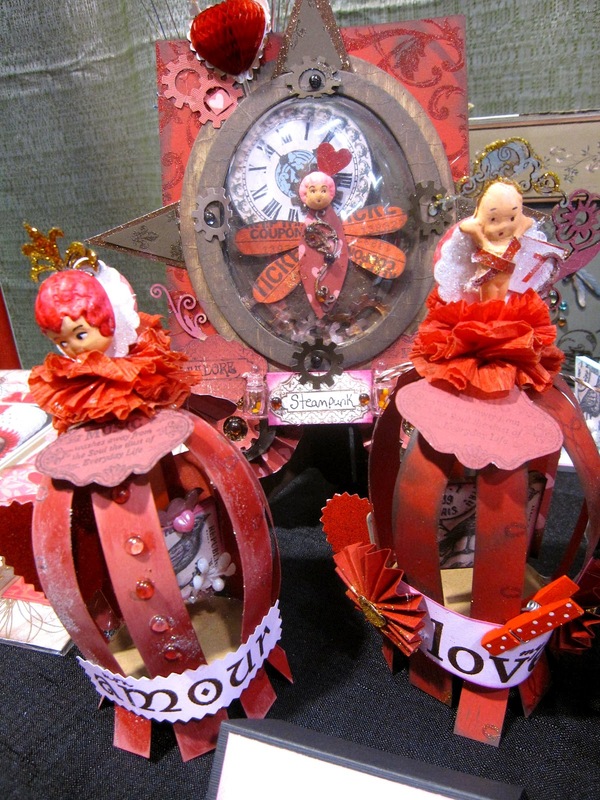 I’m a mixed media designer with several years of experience in various degrees of art and design. 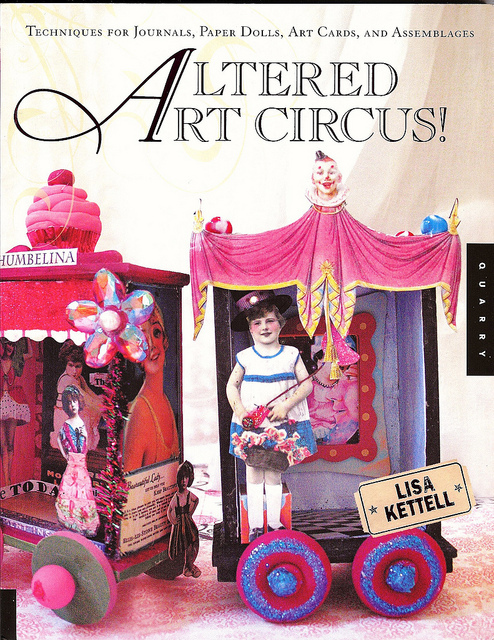 My book, Altered Art Circus, Quarry Books, is dedicated to my love of recycle, everything we see and own has an endless supply of uses, my job is to navigate one’s thought process into seeing this. 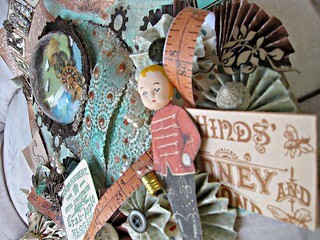 One man’s trash is definitely one man’s treasure, a philosophy I engage in every aspect of my life including my store front, Piddlestixs, located in a turn of the century former theater where creating vignettes and displays is done on a budget through finds at thrift stores, rummage sales, curbside, dumpster diving and recycling. I am known as queen of the re-purpose process, and laugh over Sanford and Son. My works have been published over 100 times worldwide, I am the creator behind the Lisa Kettell Designs Line, the Piddlestixs series of Magazines, and how to videos. I teach workshops in various locales from Museums to my store Piddlestixs, located in Lafayette, NJ, where I can create within my enchanted environment. I'm an artist who believes in serendipity, accidental chances especially when it comes to my works. Some of the best pieces I created were out of a mistake or accident, nothing I do is plain or ordinary, you never know what is going to come out of my imagination when I take on a project, even I don't. 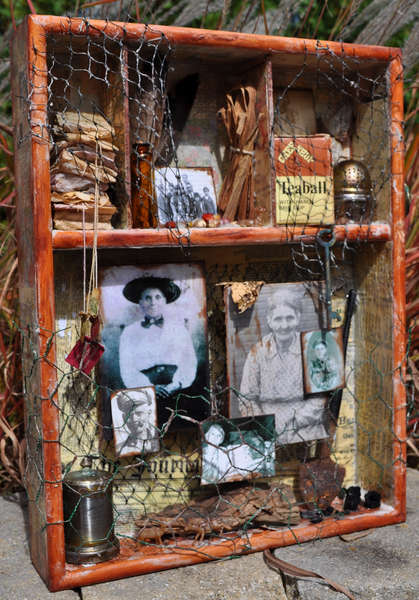 I'm a visionary who see's the gold in found objects, if its discarded or forgotten I'm going to love it and treasure it, and give it a new story, every piece I create tells a story based on some fact, some fiction and brought to life for all to enjoy. My approach to art is out of the norm, I pick an unusual theme, and just run with it, I never follow straight lines, I mix colors, patterns and materials. If you want to set your own style never copy another artist's style, be inspired by it, but find your niche which will separate you from the rest and make your work your own! 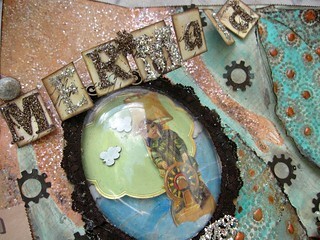 View more of Lisa's altered art and jewelry on her blog: http://faerieenchantment.blogspot.com We can't wait to experience all the gorgeousness that Lisa creates with us in the coming year! !